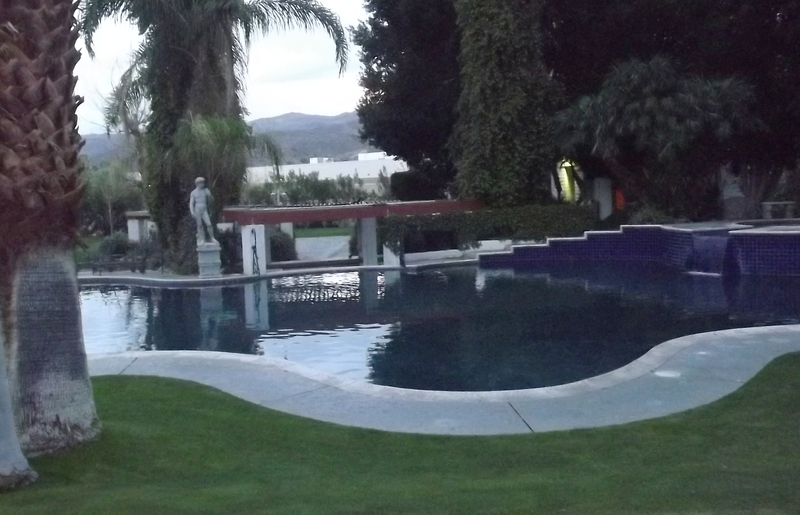 I was fortunate to book two back to back parties in the Coachella Valley this weekend. 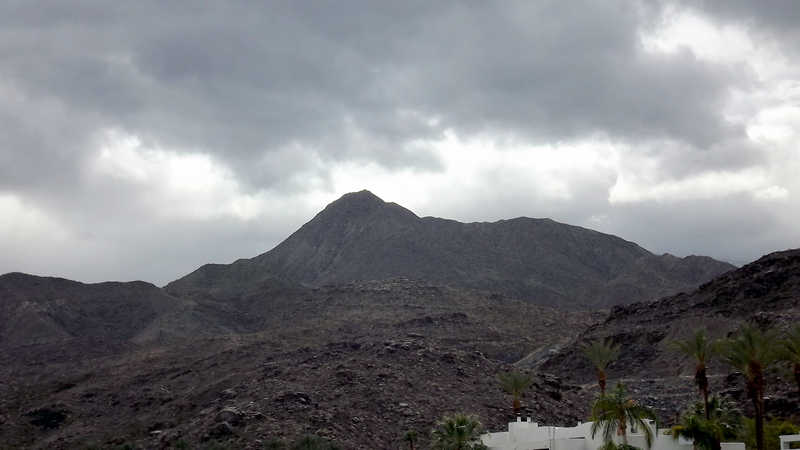 I like visiting the Palm Springs area and usually stay at a hotel there when I do jobs in the area. It is always nice getting a Saturday night job and a Sunday job the next day in the same area. Rain threatened the Saturday wedding and even though we desperately need the rain in California, I was glad we were given a reprieve Saturday night. Heavy rain would have seriously ruined the wedding. City. It was a very nice spot for a wedding and they did this one up right. They had tents set up to cover the 150 guests as they were dining and over the bar areas, but those would not have hampered a heavy downpour, as we sometimes get. They hired a bartender from another company, and I supplied two servers. We had to set up quickly for a cocktail hour after the ceremony, and the move to another bar for the reception. We pulled that off no problem. It was a busy bar night and we were slinging drinks from 4:00 pm until midnight. The server situation ended up kind of funny. I normally only get people to help me that I know and have used before, but this time I had a problem getting my regulars in the Palm Springs area because they were all working a tennis tournament. I brought Mia, who has worked with me several times and is incredible. One girl recommended a friend and I talked to her and she sounded good and so I hired her. That girl called me last minute and said she couldn’t make it, and she recommended one of her friends. I talked to that person and she said she would definitely be there. The morning of I called her and she said she was getting ready to work that afternoon. Well, she was supposed to arrive at 5:30, but a forth woman arrived in her place who I had never heard of before. It all worked out, and as far as I could tell, and it seemed the forth woman did a good job. In the future, I will only use people I know. The wedding party was a rager and we went through countless bottles of tequila and Jameson whiskey. The DJ was very good, though I didn’t have time to get her name. The married couple looked nice together, and I’m sure they will have a great future ahead of them. 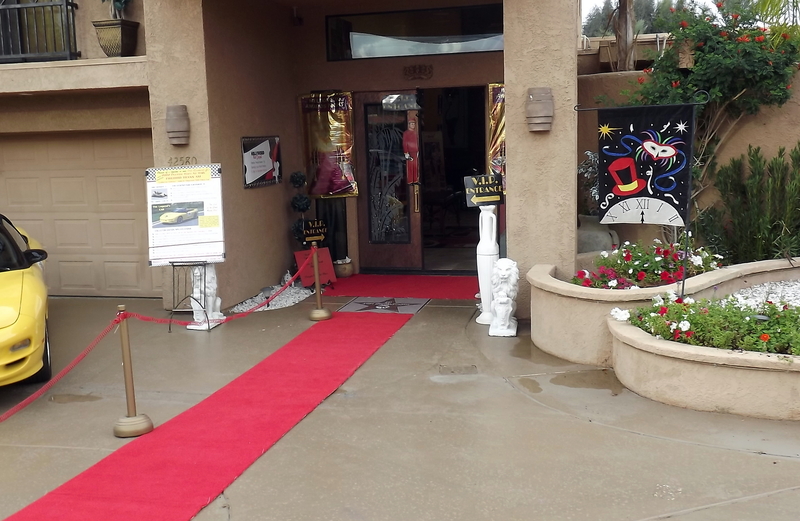 The next day I did an Oscar party at the Bermuda Dunes home of Dan and Sharie Bolhmann. Sharie Hatchett Bohlmann is a fantastic artist and sells her paintings all over the world, and even has pieces hanging in the White House. She works with all kinds of mediums and artistic styles and her home is covered with her artwork, which you can also see on her website. 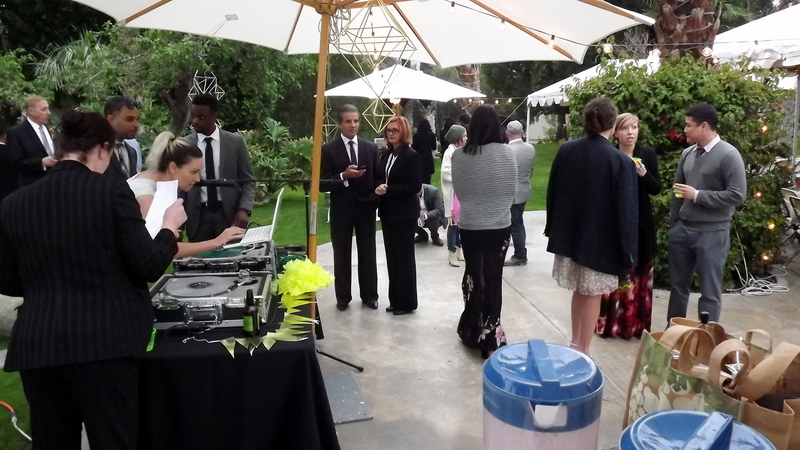 The Oscar party is an annual event that they hold, and I was honored to be a part of it this year. 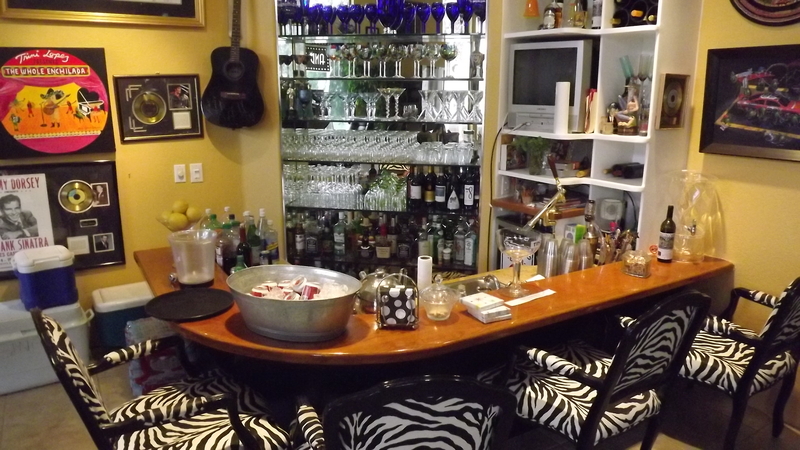 They have a very nice home bar and I served around 80 guests. We went through a couple cases of wine and lots of whisky and vodka. I would say that scotch was the drink of choice. The party was a great success and everyone went away happy. I have many more parties and weddings scheduled throughout the summer all over Southern California. Book your party now, and remember, put up the deposit right away if you want to hire me. I have had situations recently where people have hesitated to put up the deposit, and then someone else swoops in and hires me, and then the first people come back wanting to put up their deposit. I have to book the first person who puts up a deposit for a specific date. I will honor that deposit no matter what. I have other bartenders I can send out, but I always book myself first.